In this guide, you'll learn how to send or receive payment online in Nigeria to or from abroad. Due to the limitations put on Nigerians that prevent them from receiving or sending payment internationally, Nigerians have since found a way of sending or receiving payment internationally through ecurrencies issued by online payment companies (e-currency companies) such as Skrill and others that support Nigeria. E-currency is a form of token issued by payment companies across the globe to represent money in form of balance in an electronic wallet that can be spent by transferring between the e-currency accounts or withdrawing directly into local bank accounts. A UK based e-currency company formerly known as Moneybookers that allows users to send and receive payment internationally through the internet. I recommend this company for anyone that needs the best way to receive money legally in Nigeria from abroad without any issue. An American company that operates online payment systems across the globe. Used by many online shoppers for sending payment on e-commerce website like eBay and Amazon. PayPal as a payment processor is preferred among online users because of the flexibility and ease with which it allows them send payment through their debit or credit cards. This company only allow Nigerians to send payment through their debit card but prohibits them from receiving payment. Although, as at the time of writing this post, PayPal do not allow Nigerians to receive money but because PayPal allows US citizens to send and receive money freely, some smart Nigerians found their ways out of this hurdle by registering US PayPal accounts through the use of VPN that changes their locations to that of US and services that enable them to verify or own anything that identifies or proves them as a US citizen. These US PayPal accounts if not handled and managed carefully usually get caught and blocked. A Panamanian registered e-currency company that allows electronic transfer of money between users account. You can register a perfect money account as a Nigerian and enjoy limitless and seamless transferring of money from anywhere around the world. With perfect money, you can send and receive payment worldwide as a Nigerian. You have various options for funding your accounts such as bank transfer, western union and others. Buying or selling e-currency in Nigeria is a smart way of sending or receiving online payment here in Nigeria to or from abroad. If you received a payment from outside Nigeria to your skrill or PayPal account, you need to sell the skrill or PayPal funds through an e-currency exchanger in Nigeria to receive the money in naira into your Nigerian bank account. Similarly, if you wish to send payment from Nigeria to abroad, you need to buy e-currency like skrill or PayPal from an e-currency exchanger in Nigeria and send it to your beneficiary in abroad. Your beneficiary will be able to withdraw their e-currency to to their bank accounts in their local currency. In order to send or receive payment in Nigeria, you need an account with an e-currency company like PayPal, Skrill, perfect money, okpay and so on. Kindly visit the website of your preferred e-currency company that supports Nigeria and follow the procedure on the website to register an account with them. Out of these ecurrencies that work best in Nigeria, skrill is the most recommended. Most of ecurrencies companies like Skrill, PayPal and others usually require users to verify their identity with them after registration on the ecurrencies website. This identity verification includes; email verification which is done immediately after registration, mobile number verification, name verification which is done by submitting any government issued photo ID, and address verification which is done by submitting utility bills, bank statement or any document that proves your address. This verification steps might take between few days to weeks depending on the work load at the desk of the ecurrencies support team. 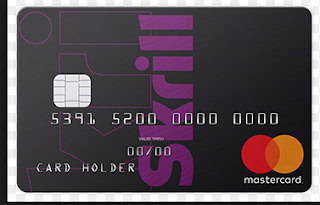 For skrill, the verification may take between 2 to 3 business days. Once you completed your account registration and necessary verification with your preferred e-currency company your account is set-up to start sending and receiving payment in Nigeria, the next step to buy or sell ecurrencies is to find an e-currency exchanger in Nigeria. An e-currency exchanger in Nigeria is one who buys and sells ecurrencies. Through an e-currency exchanger in Nigeria, you can buy or sell your ecurrencies and receive payment in naira into your bank account. There are many legit and trustworthy e-currency exchanger here in nairaland that you can deal with. Once you found your preferred e-currency exchanger in Nigeria, the next type is to discuss and agree on your terms and exchange rate. Beware of scammers. These are the people that are there to rip you off your e-currency.